Two barn-finds – a 1966 Ferrari 275 GTB Long Nose Alloy and a 1967 Shelby 427 Cobra – are among the highlights of the Gooding Amelia Island 2018 classic car auction. 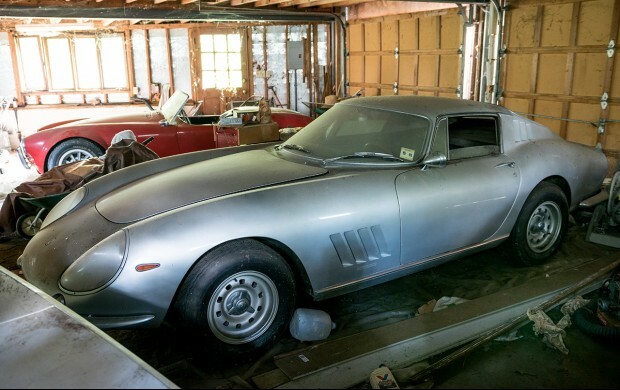 A 1966 Ferrari 275 GTB Long Nose Alloy and a 1967 Shelby 427 Cobra that have been parked in a North Carolina garage and not driven for over 25 years are among the highlight for the Gooding Amelia Island 2018 sale in Florida, USA, in March. The 1966 Ferrari 275 GTB Long Nose Alloy, estimate: $2,500,000-$3,250,000, is one of only 80 lightweight aluminum variants of the iconic 275 GTB. The 1967 Shelby 427 Cobra, estimate: $1,000,000-$1,300,000, has only 13,000 miles on the clock. Both cars are very original but obviously will require some servicing. Gooding & Company’s traditional Amelia Island Auction is held on March 9, 2018, at the Omni Amelia Island Plantation, Amelia Island, Florida, USA. In 2017, Gooding gained $30,568,700 – only half of the record $60 million Gooding earned at Amelia Island in 2016, when the sell-through rate was 87% with an average price of $871,915 per car sold. The 2016 sale memorably included 14 Porsches from the Jerry Seinfeld Collection. Two remarkable cars, a 1966 Ferrari 275 GTB Long Nose Alloy and a 1967 Shelby 427 Cobra that recently were rediscovered together in an American garage, will be on offer at the Gooding Amelia Island 2018 sale. In 1991, a rare 1966 Ferrari 275 GTB Long Nose Alloy and the muscular 1967 Shelby 427 Cobra, were driven into a then-new garage in North Carolina, parked, and left undisturbed for the next 26 years. Designed by Pininfarina with coachwork by Scaglietti, the alloy-bodied 275 GTB Long Nose is one of the ultimate road-going Ferraris. Scaglietti built just 205 examples with the desirable long-nose body style, of which only 80 were the lightweight aluminum variants. 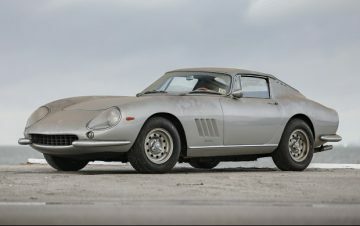 The 1966 Ferrari 275 GTB Long Nose Alloy, chassis 08125, (Estimate: $2,500,000-$3,250,000) was sold new in Italy – finished in a distinctive silver over blue color scheme – and then exported to the United States in the early 1970s. When the current owner first saw 08125, he thought it was the most beautiful car he had ever seen, which led him to purchase the Ferrari in March 1985. Then in 1991, he moved the Ferrari into the garage of his newly built home, and that is where this rare 275 GTB would remain, unmoved until recently. Now ready to sell his prized collector cars, the owner had the Ferrari pulled from the garage and, after some minor mechanical sorting, the 3.3-liter V-12 came back to life. Before sending off the car to find a new steward via Gooding & Company, the owner arranged to have the 275 GTB Alloy presented one last time, displaying it at the exclusive Palm Beach Cavallino Classic in January 2018. The newly discovered Ferrari drove onto the field and became one of the undisputed stars of the show – covered in dust, but clearly well preserved. One of the most iconic sports cars of the 1960s, the Shelby Cobra was envisioned by famed racing driver Carroll Shelby and developed by his team of talented engineers. The Shelby team successfully combined the best qualities of European competition machinery and California hot rods, which resulted in this distinctive Anglo-American sports car. Only 260 Shelby 427 Cobra street roadsters were produced. The 1967 Shelby 427 Cobra, chassis CSX3278, (Estimate: $1,000,000-$1,300,000) was purchased by the current owner in the spring of 1980. With its original red over black color scheme, this excellent example had just 13,000 miles on it. The current owner would amass just 6,000 additional miles over the next decade before parking the Cobra in the same garage as his Ferrari 275 GTB Long Nose Alloy in 1991. Today, this car has been preserved just as brilliantly as its partner. The Cobra still has its proper wooden steering wheel and correct Peter Brock-designed “Sunburst” wheels wearing period Goodyear Wingfoot tires. Even more exciting, the Ford big-block engine recently fired back to life with limited mechanical sorting. 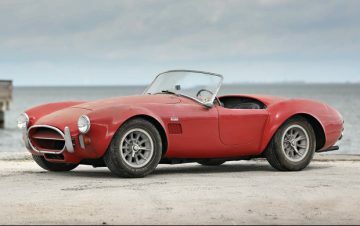 This Cobra offers everything desired by the astute collector – no rollbar, no side pipes, no scoops or stripes – just an honest, unrestored big-block Cobra that has been preserved by one owner for over two decades. 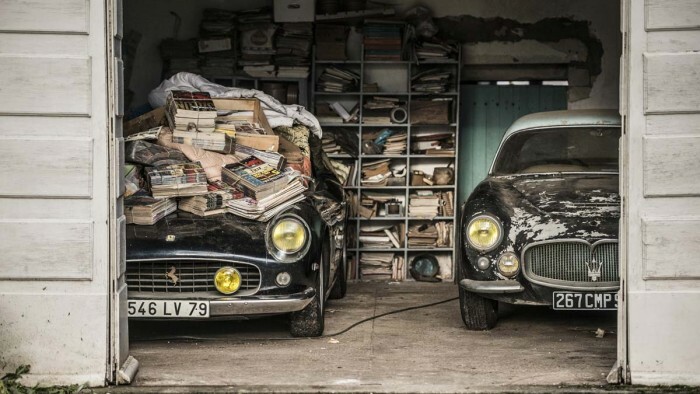 The market for barn-find classic car probably reached its pinnacle in 2015 – especially with the Baillon Collection sold at the Artcurial Paris Rétromobile 2015 sale that included a record $18.6 million paid for a 1961 Ferrari 250 GT SWB California Spider. Garage-find cars are still very popular and praised for their authenticity but buyers facing a hefty bill to bring the car back on the road are no longer willing to pay a hefty premium for that privilege. 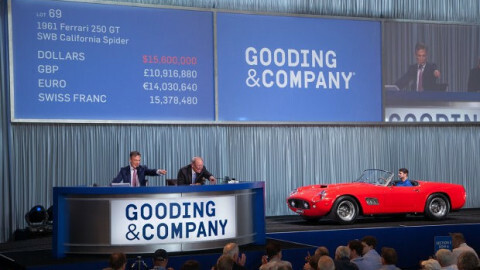 The pre-sale estimates for the 1966 Ferrari 275 GTB Long Nose Alloy (Estimate: $2,500,000-$3,250,000) and the 1967 Shelby 427 Cobra (Estimate: $1,000,000-$1,300,000) are within range of recent auction results for similar models in good condition. Gooding has already announced a collection of 12 Porsches from a private collection for its Amelia Island 2018 sale.